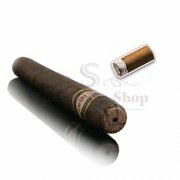 Looks like a real cigar! 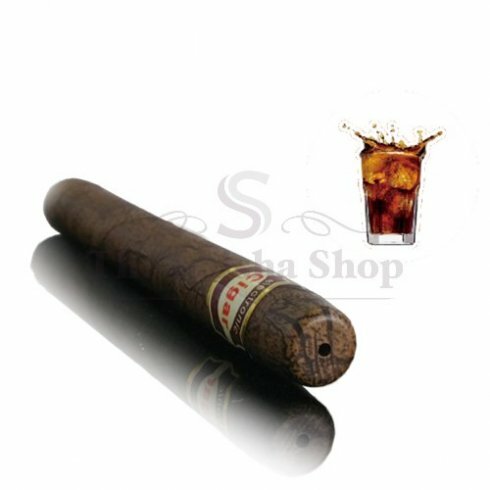 Enjoy this real life look and feel of our Cola Flavour e-Cigar by Shisha Time. Perfectly crafted and engineered to give you the maximum taste and flavour. Enjoy vaping this in bars and clubs or in the comfort of your own home. Just pure flavour with HUGE smoke clouds. Enjoy the Ultimate Shisha Experience! PayPal has quickly become a global leader in online payment solutions with more than 153 million accounts worldwide. Available in 190 markets and 17 currencies around the world, PayPal enables global eCommerce by making payments possible across different locations, currencies, and languages. The Shisha Shop London Limited merchant account and SagePay account is the most popular payment choice with our customers. It allows customers the option of paying by various debit and visa cards. This option allows customers to complete transactions very quickly and securely. Streamline has achieved the highest level of compliance under the Payment Card Industry Data Security Standard (PCI). They adhere to the most stringent levels of fraud screening, ensuring that our customer's details remain secure throughout the transaction process. No individuals within Streamline or The Shisha Shop London Limited are able to decrypt transaction information or cardholder data. Your transaction information and customer card information is secure even from our own employees because our systems never display the full card numbers, even on administration screens. We are so confident about the transaction security on our site that we back every purchase with our 100% security guarantee. Standard Delivery - (Royal Mail Signed For 2nd Class) - FREE on orders over £20 Available for UK only. Please allow 2-3 working days for delivery. For orders below £20 there is a £1.97 delivery charge. Express Delivery - (Royal Mail Signed For 1st Class) - £2.97 Available for UK only. Please allow 1-2 working days for delivery. Next Day Delivery - (Royal Mail Special Delivery Guaranteed by 1pm) - £7.97 Available for UK only. Delivery guaranteed for next working day if the order is placed before 2pm. Items dispatched on a Friday are 90% likely to arrive on Saturday. European Delivery - (Royal Mail International Tracked & Signed) - £9.97 Available to all countries in the EU. Please allow 3-5 working days for delivery. International Delivery - (Royal Mail International Tracked & Signed) - £11.97 Available to all other countries including USA, Canada & Australia. Please allow 5-7 working days for delivery. If for any reason you are not entirely satisfied with your purchase or encounter a fault with your product, please follow one of the applicable policies below. Unwanted Items - within 14 days You can return any unwanted items within 14 days of receiving it. All items must be unused and in original condition with all seals in place. Once the unwanted item is received back to us, please allow 72 hours to process the refund and inspect the returned item. A full refund will be issued including original postage cost. We are not responsible for the return postage cost. We advise a recorded delivery method to ensure safe arrival of your returned item. We can not take any responsibility for items not sent via recorded delivery. Faulty Items - within 28 days If your item develops a fault, you have 28 days of receiving the item to inform us. We will do a like for like exchange once the fault of the item is diagnosed. We will cover all postage costs if a fault is found. If there is no fault found and the item is working, we will return the item back to you. Please allow 72 hours to diagnose the fault and process the exchange. We advise a recorded delivery method to ensure safe arrival of your returned item. We can not take any responsibility for items not sent via recorded delivery. Faults found after the 28 day period will be referred to manufactures warranty.